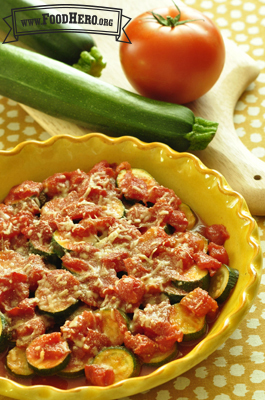 Lay zucchini in a pie pan and pour tomatoes and juice over the top. Sprinkle garlic powder, salt, and cheese on zucchini. Bake uncovered for 35 to 40 minutes.